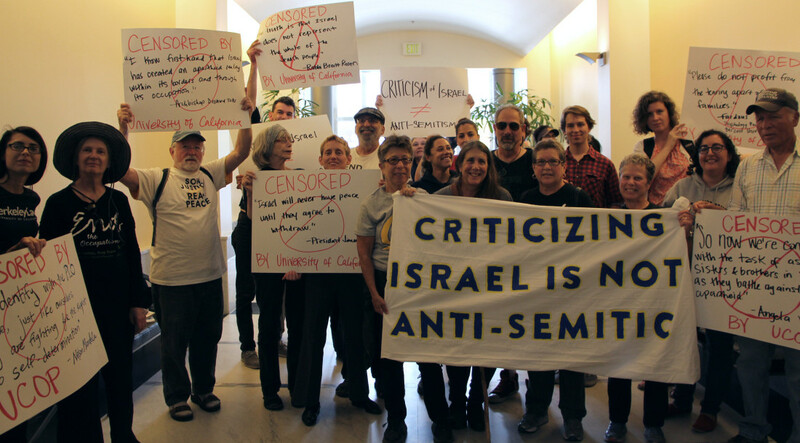 On the face of it, equating criticism of Israel with anti-Semitism seems absurd. Many defenders of Israel argue that criticism of Israel becomes anti-Semitic when it calls into question Israel’s right to exist. But how can criticism of specific policies pose an existential threat to any state? Massive opposition to the U.S. war in Vietnam posed a threat only to the continued prosecution of the war. Fierce opposition to the former Soviet Union’s treatment of its Jewish citizens posed a threat only to elements within the Soviet Union that advocated denying Soviet Jews equal rights. But the former Soviet Union, like the former Yugoslavia, raises an interesting question about any state’s right to exist. Scott Burchill, a Senior Lecturer in International Relations in the School of International and Political Studies at Deakin University, argues that no state has an inherent right to exist, at least not one that is recognized in international law. (https://theconversation.com/israel-has-no-right-to-exist-and-neither-does-any-other-state-1668) If fact, states often come into existence and go out of existence (and sometimes, like Poland, after ceasing to exist, come back into existence). Israel’s status as both a Jewish state and a democracy is problematic because 20 percent of Israel’s citizens are non-Jewish. Democracies don’t officially privilege one religious or ethnic group over others. Jewish Israelis enjoy privileges denied to non-Jewish Israelis, and increasingly this systemic discrimination is giving rise to popular expressions and acts of racism in Israeli society. Does raising any of this constitute anti-Semitism? Israel’s nearly fifty-year-old occupation of the West Bank and military rule over some 4 million Palestinians also call into question Israel’s status as a democracy. Most legal experts consider Israel’s ever expanding settlements in the Occupied Territories a flagrant violation of international law. The settlements are also closing the window on a two-state solution, potentially leaving Israel in permanent possession of the territories. The choice will then be either granting the Palestinians of the West Bank citizenship, thereby endangering the Jewish character of the state, or becoming a full-fledged Apartheid state and continuing to deny Palestinians basic human rights. Does pointing any of this out constitute anti-Semitism? So what does criticism of Israel have to do with anti-Semitism? It’s complicated. Some actual anti-Semites doubtless take up the Palestinian cause to attack Israel and by extension, all Jews; some right-wing Zionists try to discredit any criticism of Israel as anti-Semitic, thus making Israel, together with all Jews, a victim, rather than a victimizer. So both anti-Semites and right-wing Zionists have a good deal of common ground. Both have an interest in insisting that Israel acts on behalf of and speaks for all Jews. Anti-Semites like to claim that Israel and its defenders are really just like the Nazis, and right-wing Zionists like to claim that Palestinians and their defenders are really just like the Nazis. That’s why anti-Israel protests sometimes feature Israeli flags with swastikas painted on them; that’s why Benjamin Netanyahu absurdly claimed that Hitler got the idea of the final solution from the Grand Mufti of Jerusalem. The backdrop for all this heated ideological rhetoric is, of course, the Holocaust. To claim, as anti-Semites do, that Israel is perpetrating a comparable genocide on the Palestinians, is a denigration of the Holocaust and its victims. To exploit the Holocaust, as some right-wing Zionists do, to justify the oppression of the Palestinians, is no less a denigration of the Holocaust and its victims and is, to use a traditional Jewish term, a chillul hashem, a desecration of God’s name.